To Prepare a Face to Meet the Faces explores the vulnerability of romantic relationships and the physical, mental and emotional intimacy they entail. 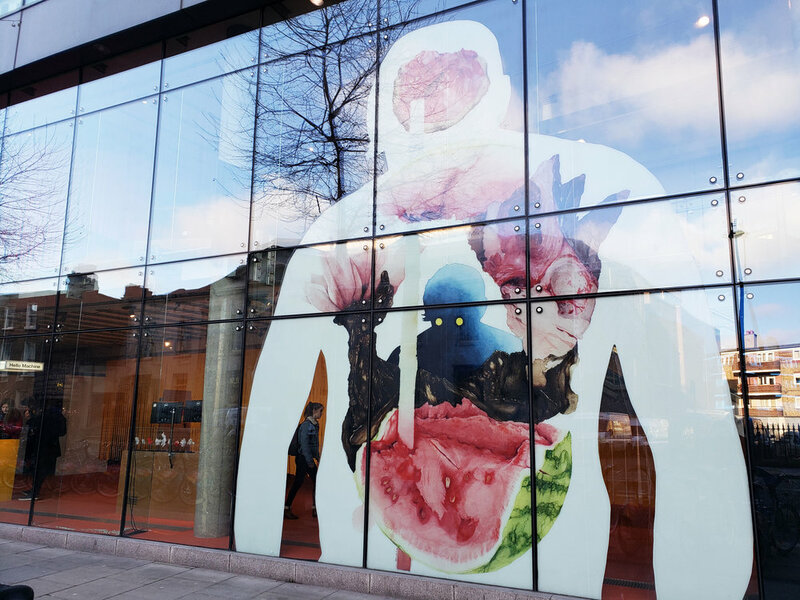 The piece is a double-layered mural, a self-portrait of the artist, placed on the glass facade of the gallery. 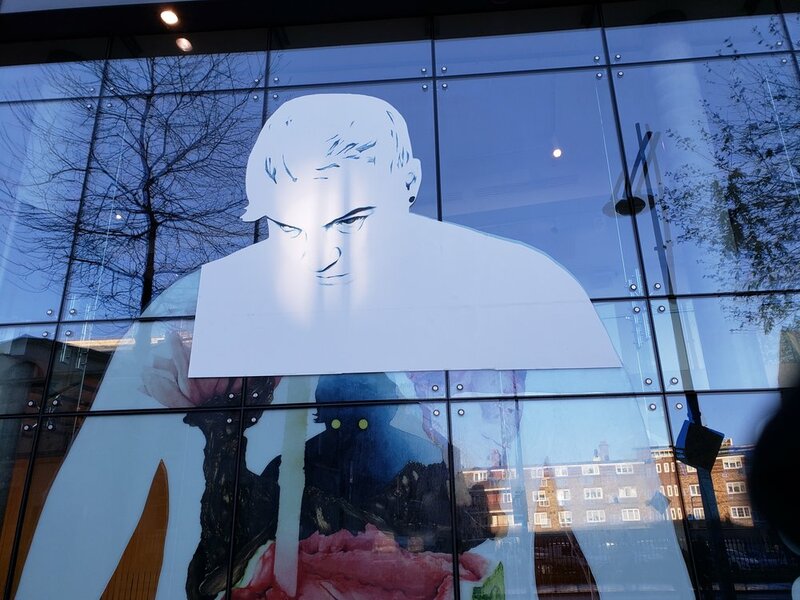 Over time, the first layer of the mural, made of biodegradable paper, will slowly degrade, exposing the layer underneath: a chaotic and distorted variation of the original self-portrait. The slow reveal mimics the idea of ‘removing a mask’ and exposing your vulnerability and inner self to a new romantic partner. 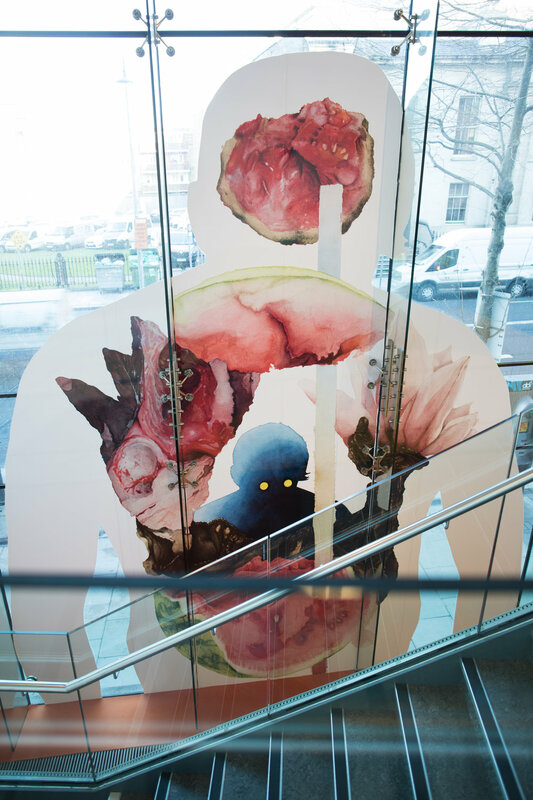 The piece was exhibited as a part of ‘Intimacy’ exhibition in the Science Gallery Dublin running 18.10.2018 - 24.02.19.